LaBry Family Dentistry is pleased to provide dental implants as a long-lasting solution for missing teeth. The effects of tooth loss go beyond our aesthetics, though we can’t neglect mentioning how that heavily impacts self-confidence. Once a tooth is lost, the jaw bone starts to deteriorate due to the lack of stimulation. This will change speech patterns, our ability to eat and enjoy food, and cause a sunken in appearance. Dental implants can help negate these effects with a permanent, life-like solution. A dental implant is a surgically placed artificial tooth root that can prevent the suffering that comes with missing or decaying teeth. They are made of titanium and bone-like ceramic materials that are compatible with your jaw. Implants fuse with your jaw bone to support a crown, bridge, or full denture. There are many benefits in restoring your smile securely with dental implants, and many additional benefits in choosing our team at LaBry Family Dentistry to take the very best care of you every step of the way. 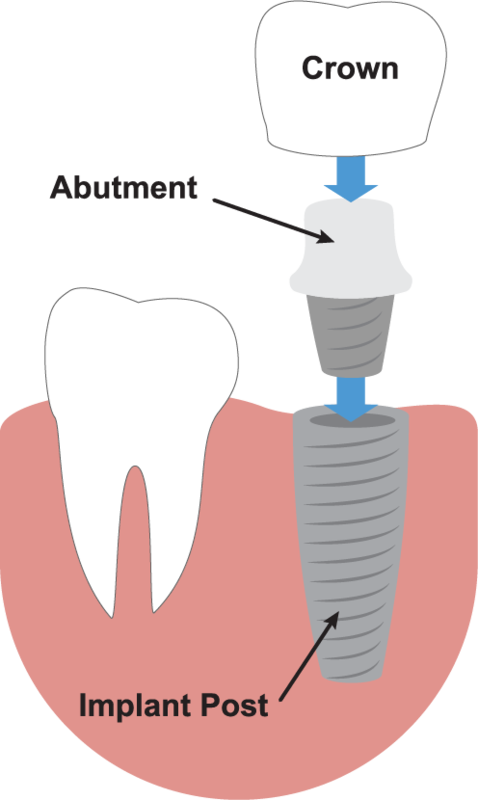 Dental implants can also help if you’re living with ill-fitting dentures that rock and slip. We’d love to help you secure your smile, invest in your future, and improve your quality of life with implant supported dentures. Locking your dentures into place with implants can provide a better, more functional fit. With the permanent solution of implant dentures, you can return to the days before messy denture adhesives, overnight removal and soaking, and worrying about whether they’ll slip out when you’re enjoying food, talking, and laughing. If you have questions about dental implants or would like to schedule a visit with your Broussard implant dentist, Dr. LaBry, give us a call today or schedule a visit online! We look forward to hearing from you.